The Los Angeles and Sacramento appeal lawyers at Kassouni Law litigate in all courts throughout the state of California and in the United States Supreme Court. Our appellate lawyers are passionate about all things legal, treating each case as if it were their own and dedicating themselves fully to the pursuit of justice with offices in Sacramento and Los Angeles. If you have a question about your appeal, please give us a call at 877-770-7379. California appeal attorney, owner, and managing partner Timothy Kassouni will speak with you personally. A California state court civil appeal differs from a federal civil appeal in that the case originates in a state trial court. 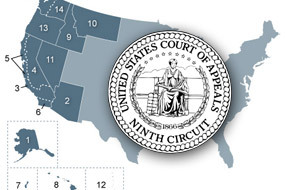 If a case originates in a federal district trial court, the appeal is brought before the Ninth Circuit Court of Appeals. See Federal Civil Appeals for more information on the federal appeals process. A California state court appeal is triggered by the service of a notice of entry of judgment. From the date of service the appellant has 60 days to file a notice of appeal. Parties should be aware that a notice of appeal is a very short, straightforward document that specifies the name of the appellant, the date of the entry of judgment, and usually an affirmation that the judgment is a final adjudication of all issues between the parties. In some instances trial court proceedings can continue even after the judgment is entered. For example, the losing party may file a motion to vacate the judgment which can have the effect of tolling the time period in which to file a notice of appeal. Also, a motion for attorneys fees may be brought after the judgment is entered. However, the filing of a motion for attorney’s fees does not toll the time period to file a notice of appeal. It is imperative that a party understand the rules and statutes which govern the notice of appeal deadlines. An appeal attorney can help with the management of this. You can reach the Sacramento Appeals Lawyers and the LA Appellate Lawyers by calling (877) 770-7379 to prepare a notice of appeal. It is also important to remember that a notice of appeal is jurisdictional. This means that if you are even one day late with filing the notice of appeal, the court of appeal cannot hear your case and the appeal must be dismissed. Code of Civil Procedure section 473, which grants parties relief from mistake or inadvertence, cannot be used to grant relief to a party which has filed a late notice of appeal. Also, beware of any offer by an attorney to stipulate to extend the date of a notice of appeal. Such stipulations have no legal merit, and the appeal will be dismissed if it is late. Once the notice of appeal is filed with payment of fees, the appellant must proceed to designate the record on appeal. The record consists of the trial court documents which the court of appeal will need to review, as well as transcripts of relevant trial court hearings. An additional fee will need to be paid to enable the court reporters to prepare the transcripts of the hearings. The appellant must also choose whether to proceed with an appendix in lieu of the clerk’s transcript. This is the preferred choice, as the appellant can compile all of the necessary documents for filing at the same time as the opening brief, which is usually due three to four months after the notice of appeal is filed. The party that won the case in the trial court is called the respondent. However, in some cases even the winning party might not be fully satisfied with the result. Suppose, for example, the winning party won an award of damages, but believed the trial court erred in excluding expert evidence that would have made the amount awarded higher. Or suppose the winning party is not satisfied with the amount of attorney’s fees that were awarded. In either instance, both parties to the case file their own notices of appeal. When this happens the court of appeal typically consolidates both appeals for efficiency. The appellant files its opening brief, followed by the respondent’s brief, and then followed by the appellant’s reply brief. With limited exception, no further briefing is allowed. A short oral argument is then scheduled several months after the last brief is filed. Once oral argument is concluded, the court of appeal has 90 days to issue a decision. The decision can be published or unpublished. The party which loses the appeal can then seek further review in the California Supreme Court. Before that is done, however, it is very important to first file a motion for reconsideration in the court of appeal pointing out any factual and legal errors. Even if the California Supreme Court denies review, the case can be petitioned to the United States Supreme Court. Even state court cases can be reviewed by the United States Supreme Court, provided there is a federal issue of statutory or constitutional law involved. To consult with a premier LA appellate lawyer or a Sacramento appeals lawyer at Kassouni Law call (877) 770-7379.